Simple: Provides clear indicators of P wave changes. The focus is on accurate P wave interpretation in order to facilitate navigation of the line during the insertion procedure and rapid tip location confirmation. Studies consistently show that interpretation of P wave changes is the most accurate and reliable way of determining both CVC tip location and accurate navigation of the line during the insertion procedure* PILOT TLS incorporates several real-time features designed to improve P wave interpretation thus assisting clinicians to achieve accurate navigation and tip location. These features are further enhanced by a clear and accurate ECG waveform at all stages of the insertion procedure allowing the clinician to be confident in using the system to interpret changes in the P wave. 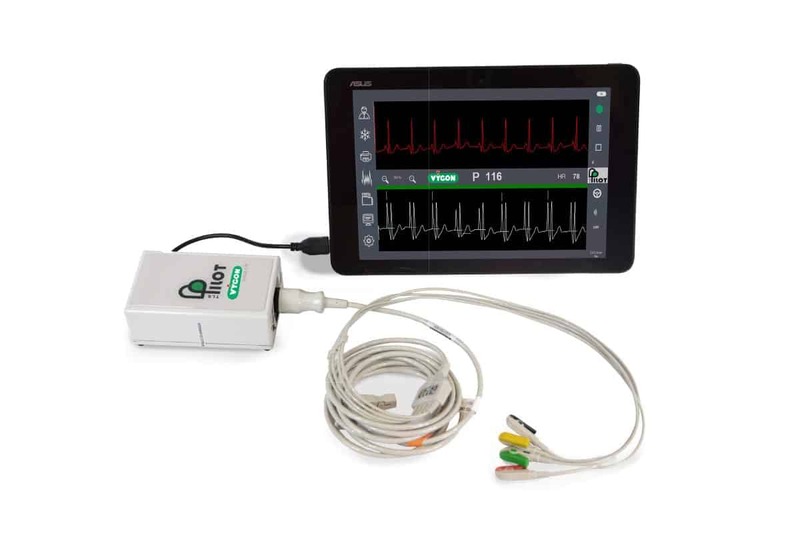 Pilot is composed of PC tablet (TAB10) with pilot software, one ECG cable 4 derivations and one patient module. PILOT TLS is used as a support to the precise positioning of a Central Venous Catheter by measuring the maximum P wave (ECG method). The intracavitary ECG method is based on evaluation of the P wave, which is highest at the sinoatrial node. PILOT TLS TABLET displays the height of the P wave in real time, acquiring the ECG signal through the catheter used as an electrode. The operator will therefore be able to find the position of the catheter related to the maximum height of the P wave. With PILOT TLS TABLET the catheter is used as an intracavitary electrode, replacing the yellow (left shoulder) and giving the advantage of continuously and simultaneously being able to observe the superficial ECG (second lead). PILOT TLS TABLET is also able to detect biphasic P wave. In this case the central band will become orange. 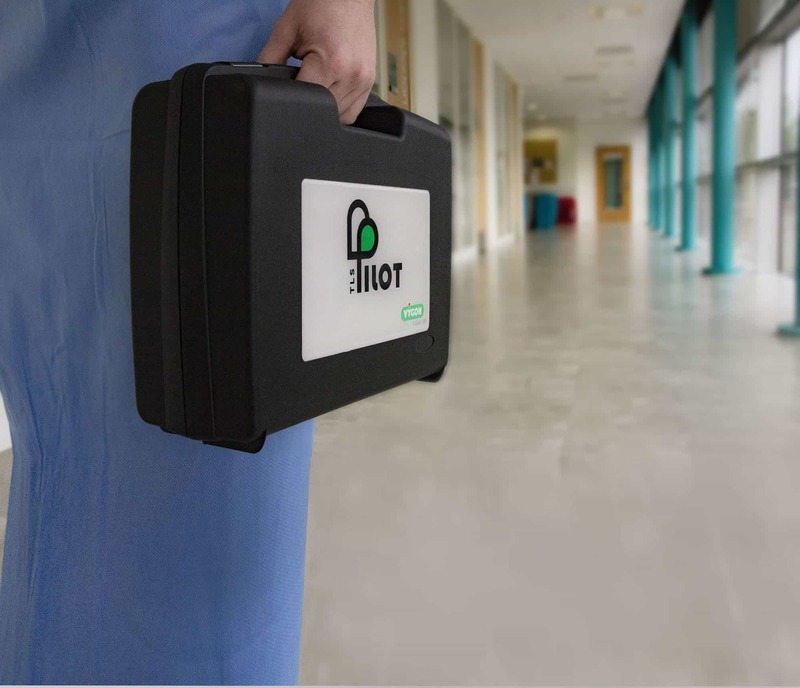 PILOT TLS TABLET recognises every single QRS, calculates the isoelectric line of the complex and uses it to calculate the height of the P wave. 6. Possibility to determine the exact position of the Sinoatrial node. Vygon is committed to education and support for our customers. We provide in-service training sessions for all staff and all shift patterns, to help ensure your clinicians achieve best practice when delivering care to patients. In addition, patient advice leaflets and children’s bravery certicates are available on request, to help assist the clinicians in supporting and informing their patients. 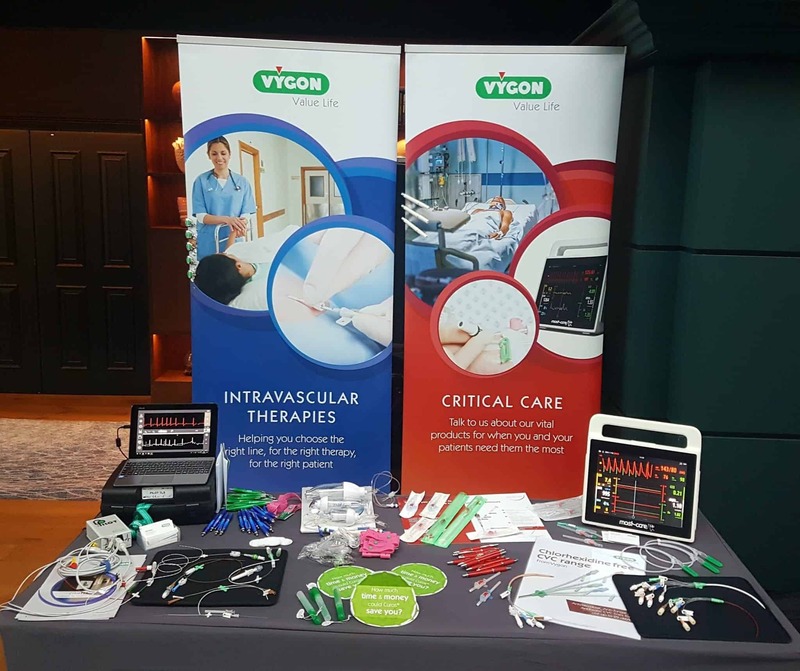 A study to determine the safest and most accurate way to place central venous catheters (CVCs) in patients with atrial fibrillation (AF) recommends an electrocardiogram (ECG) CVC tip location method which Vygon features exclusively in its PILOT TLS™ device. pilot TLS ECG technology provides immediate feedback on CVC tip placement, enhancing both patient and clinician satisfaction.